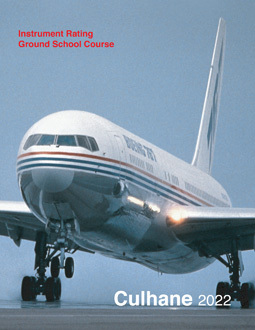 This self-contained course is Canada's leading IFR training course manual for both the INRAT written and for IFR flight procedures and will provide you with an organized and efficient system for learning the required subjects quickly and accurately. This text comprehensively covers all mandatory subjects in a SINGLE SOURCE so that the reader is freed from the tedious and arduous task of referencing and sourcing original regulatory source materials. Importantly, this text is CURRENT for the new Transport Canada IFR subjects now mandated such as new GPS, APV/LPV RNAV and STAR procedures and for new CAP format. This course is perfect for independent home study. Typically, users of this course can prepare and complete the INRAT examination with only a few weeks of focused part time study with our text. TENS OF THOUSANDS of Canadian pilots have used this course text to succeed on their INRAT written. This text can also be used for those preparing for the FAA Instrument Pilot to TCAA Instrument Rating exam: FAAIA. All subjects for the FAAIA exam are covered in our text. Since examination writing skills are important for success on the TC written, this course is intended to be used in conjunction with our Instrument Rating Written Test Book, which includes 8 supplemental INRAT exams, all cross referenced to this course text. Completing both this course and our supplemental exams will assure you of strong performance on the actual written. 306 pages, perfect bound. ISBN 978-1-895801-38-9.